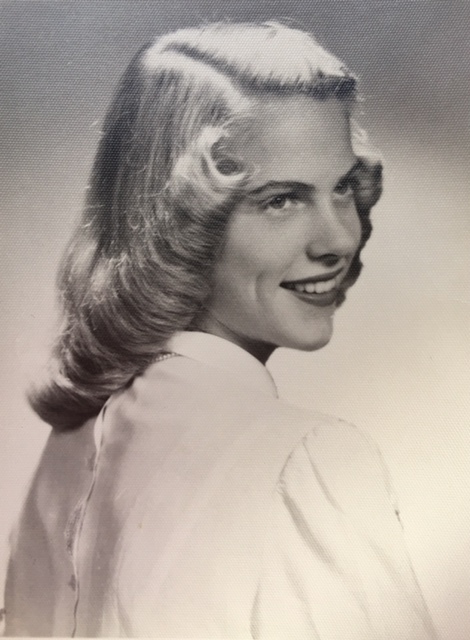 Nancy Elizabeth Hofmann, 85, who moved to Ashford in 2003 to be with her sister Janet, passed away on November 4, 2018. She was born in Pittsburgh on Feb. 6, 1933, to Eugene Leslie and Nellie (Hiester) Hofmann. She loved her family, technology, sports, art and fashion. Nancy’s father worked for the Pennsylvania Railroad Company and the family called many places home as he worked up through the company's ranks. Garden City on Long Island, where Nancy was a member of the Honor Society, field hockey team, cheerleader, and graduated from high school, was among her favorite places to call home. Science and technology captivated her. Nancy received her Bachelor of Science in Zoology at Cornell University, Class of 1954. She was a member of Kappa Alpha Theta. After graduation, she began working as a medical technician at Case Western University in Cleveland, Ohio, before joining IBM in Philadelphia where she worked during the early era of large corporate computers. Nancy’s interest in technology continued through her life — decades later, she received a certificate of learning in Engineering at the University of Alabama when she moved to Birmingham, Alabama to join her brother, Eugene Jr.
Nancy was mightily dedicated to family. As an aunt, she would stand for hours in the pool to catch the brave diving children. She would take those same children to the beach, to the city, to sporting events, and (extra credit) to the opera. Nancy was an accomplished athlete and gifted artist throughout her life. She could use her flair for fashion in a palette of cream, white, and blues to emphasis her classic blonde athleticism. Nancy is predeceased by her mother, Nellie, her father Eugene and her brother, Eugene Jr. She is survived by her sister, Janet Hofmann McCulloch and five nieces and one nephew.